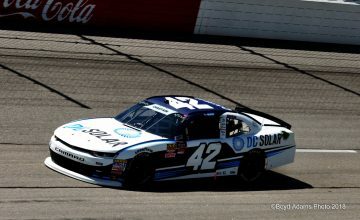 Normally one would view a drop to a slower division as a potential step backwards in competition, but that may not be the case for Chip Ganassi Racing in 2016. The multi-time Rolex 24 at Daytona and Rolex Sports Car Series Daytona Prototype class champions next season will join the increasingly competitive world of factory supported, grand touring sports car racing, as the leader of the new Ford GT-R racing program, which was officially unveiled to the general public in Le Mans, France on Friday afternoon, just one day before the 2015 edition of the annual 24 Hours of Le Mans endurance race. Perhaps the worst kept secret in the sports car racing paddock since the road car’s debut in January at the North American International Auto Show in Detroit, Michigan, the racing program had been rumored for months with multiple reports of private on-track testing of the machine underway at various locations in the United States. Although many facets of the program, have yet to be announced, the interest shown prior to the announcement shows just how important it is for sports car racing to have the American marque back in the fold. For one thing, Ford’s new super car will do battle with American rival General Motors’ Chevrolet Corvette C7.R and although in privateer hands the Dodge Viper SRT as well, meaning sports car racing could become the only racing circuit to feature the three major American automobile manufacturers in competition at the same time. In terms of the Ford GT-R, several performance factors have already been tested in competition, most notably the 3.5 liter, turbocharged Ford EcoBoost V-6 engine, which has been utilized by Ganassi’s Riley DP squad in the TUDOR United SportsCar Championship since 2014. The engine will be built by Jack Roush and Robert Yates, who despite being better known for their exploits in NASCAR stock car racing, each have a well documented tradition in sports car racing likewise. Duing the 1980s and 1990s, Roush Racing was the dominant force in the IMSA GTO division, taking multiple class victories in the Rolex 24 at Daytona and the 12 Hours of Sebring. While not involved in team ownership, Yates provided the engines for a few teams during the late 1990s and early 2000s, most notably the Ford V-8 power plant used by the Panoz Esperante GT-R and Panoz LMP-1 roadster, better known by their “Batmobile” nickname. 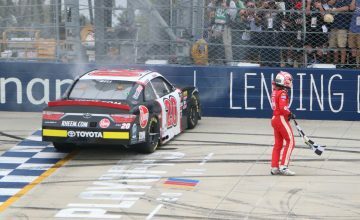 Since 1990, Chip Ganassi Racing has developed into one of the most successful racing organizations in the United States. The team’s first successes came in the CART ChampCar Series, where they claimed four consecutive series titles. The team’s success in open wheel racing continues presently in the IndyCar Series, where they have won the Indianapolis 500 four times. Ganassi also extended his holdings into the NASCAR Sprint Cup Series in 1999 and claimed his first Daytona 500 win with Jamie McMurray in 2010. With wndurance racing wins already claimed at both Daytona and Sebring, Ganassi had been pushed by those in the sport to try his luck at Le Mans, but had held off on doing so as he was waiting for the perfect scenario to allow for a chance to win. 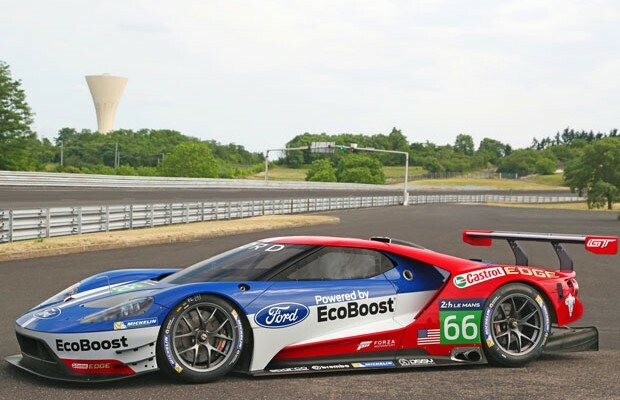 Once Ganassi joined forces with Ford EcoBoost in 2014, the road toward Le Mans began. Ford’s focus in sports car competition will be in three series in 2016. Ganassi will oversee the team’s full-time effort in the GT Le Mans division of the TUSCC, while assisting a similar program in the FIA World Endurance Championship. The FIA WEC program will be guided by George Howard-Chappell, who heads Multimatic Motorsports. Howard-Chappell has had success in GT racing in recent years, joining forces with David Richards to run Prodrive’s efforts with the Ferrari 550 Maranello and the Aston Martin DBR9 and Vantage V8. The program will come full circle in one year from now when Ford enters two GT-Rs in the 2016 24 Hours of Le Mans, which will come on the 50th anniversary of their overall 1-2-3 finish at Le Mans in 1966 with the famed GT-40 MkII. As for drivers, it is expected that both Scott Pruett and Joey Hand will move from Ganassi’s current Daytona Prototype program to the GT entry, while other drivers have also inquired about 2016 opportunities. Ford’s addition to the current GT landscape, means there could be as many as seven different manufacturers represented at the major endurance races next season. Matt Embury is the Senior SportsCar Writer at Rubbings Racing and can be followed on Twitter (@MattEmbury) for the latest sports car news and opinions. A native of Mishawaka, Indiana, he has been following sports car racing for nearly 20 years. Rubbings Racing is a one-stop source for racing news from every discipline of racing on the planet.